"There is a possibility that North Korea will launch a missile as active movements of vehicles have been detected at a missile research facility in Pyongyang," the National Intelligence Service told a closed-door parliamentary audit, the Yonhap news agency reported. 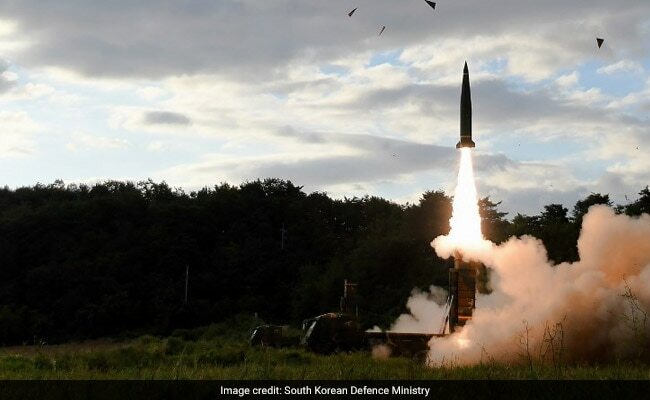 Seoul: Pyongyang may be preparing for another missile test, South Korea's spy agency said Thursday according to reports, just days before US President Donald Trump visits the divided peninsula. In July Pyongyang launched two ICBMs apparently capable of reaching the US mainland, described by leader Kim Jong-Un as a gift to "American bastards", and followed up with two missiles that passed over Japan and its sixth nuclear test, sending tensions rocketing. Amid a flurry of diplomatic visitors to the region, NATO chief Jens Stoltenberg said Thursday that Pyongyang's weapons ambitions have become a "global threat", with the US mainland and Europe coming within reach of its missiles. "I think we all understand that a war will be catastrophic and extremely dangerous not only for people living in this region but for global peace and security," Stoltenberg told reporters in Seoul. But the 29-nation defence alliance was "always ready to respond and to counter any attack from any direction", he added. "That's the way NATO has handled ballistic threats for decades." It was important not to dramatise the tensions and create a "more challenging situation", he said.